Lynn Baskind will do anything for the pool! 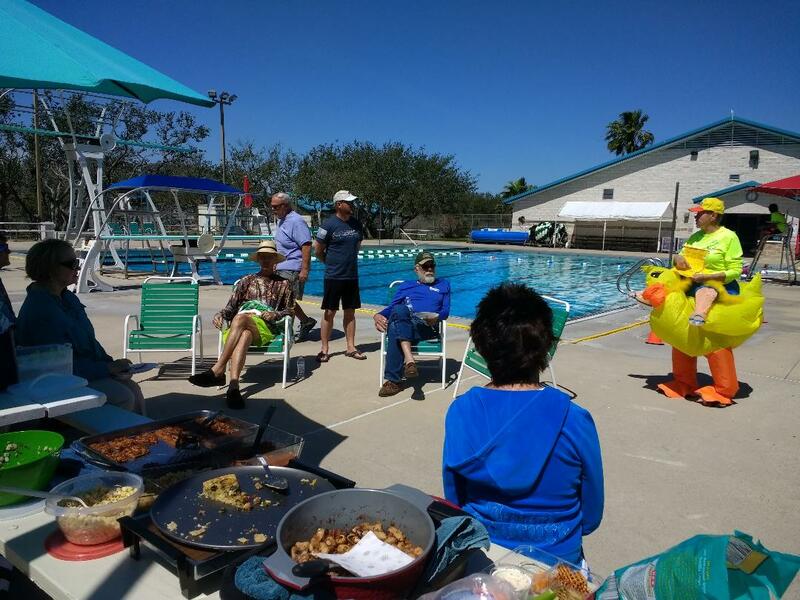 The Friends of the Pool, the support group for the Community Pool and Skate Park, held a pot luck lunch and membership meeting on Wednesday, March 21 to kick off their May 5th Duck Race, Sinko de Quacko. 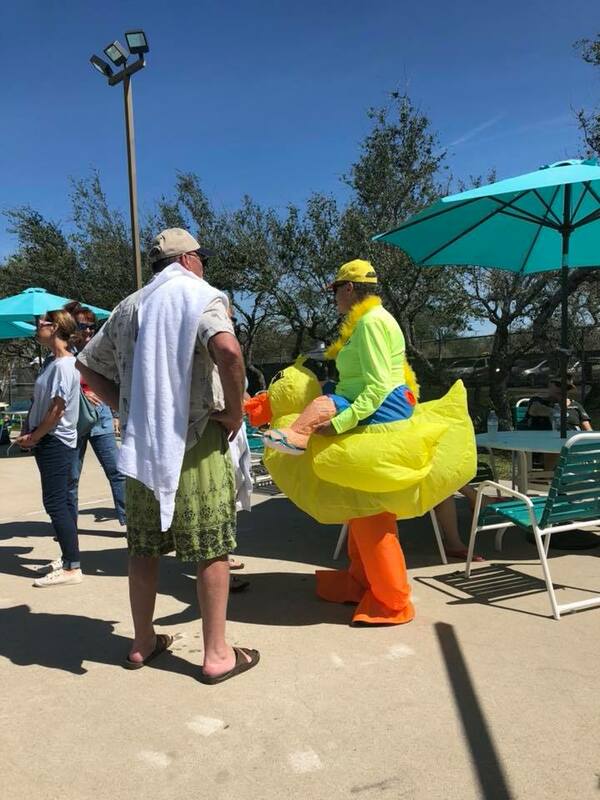 Lynn Baskind, who will do anything for the pool, showed off her duck outfit while about two dozen "poolies" enjoyed a feast. 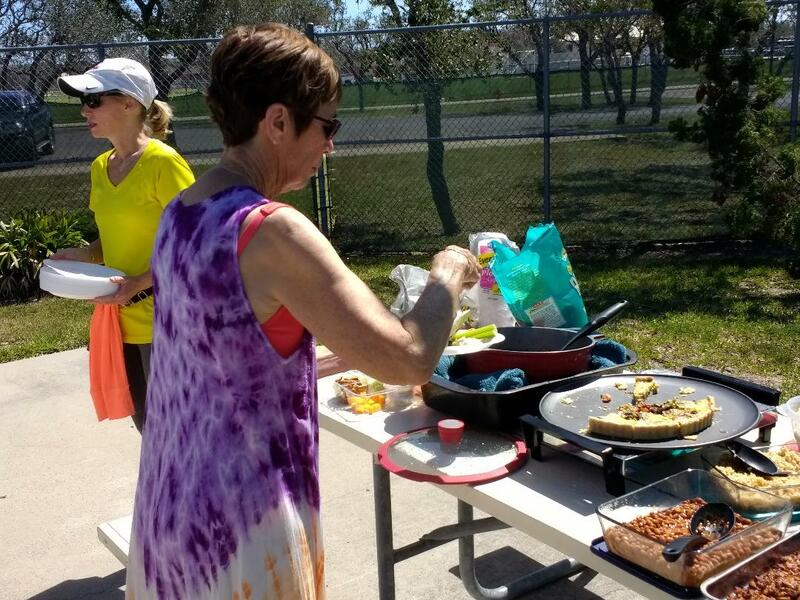 The Friends of the Pool provide funds for 6th grade swim lessons and support the Sharks swim team, as well as purchase pool-related items not in the pool budget. All ducks survived Harvey and the group has added an additional 100 ducks for the race, which sold out last year. At the even ducks race across the pool, assisted by in-water duck handlers. The first ducks to cross the finish line win cash gift cards and other prizes for the ticket holder with their number. The event will also include a bake sale, auction for sports memorabilia (Michael Phelps' swim hat! ), and a swimmers boutique, plus in-water demonstrations by the Zumba class, a mermaid, and more. Members are selling tickets for the 3rd annual duck race around town. 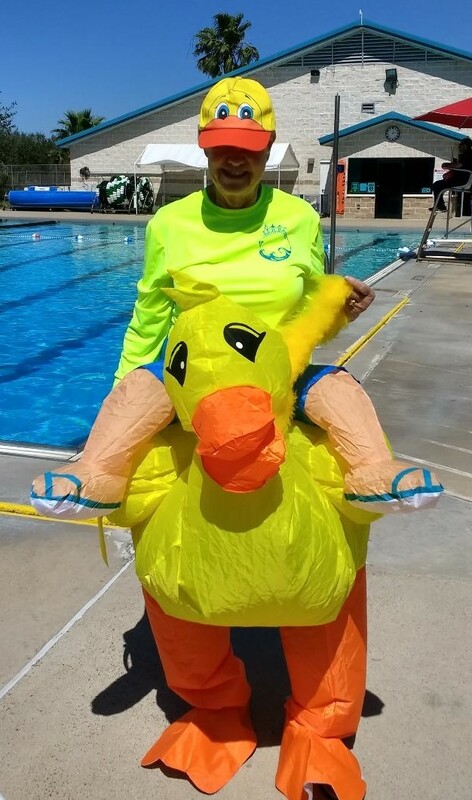 Lynn is taking Quacko on the road so look for a 6 foot yellow duck at other local events and meetings!